Grocery Trader is well known in the UK multiple grocery sector as a bi-monthly magazine distributed in both printed and digital formats to named senior buyers and trading directors and other decision makers within the UK supermarkets, Co-ops and convenience store chains and other key grocery organisations. These individuals represent all the major companies in the multiple grocery sector, one of the strongest and largest areas in UK business. 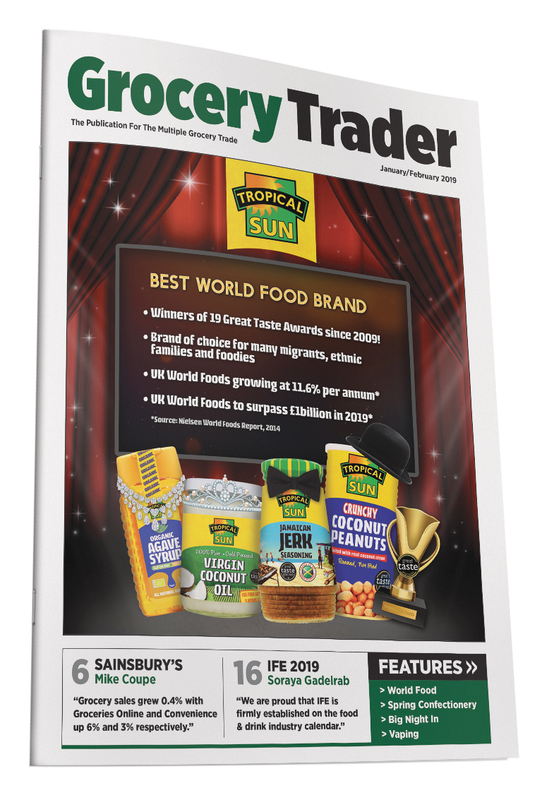 Grocery Trader serves the UK multiple grocery industry and provides industry news, product stories, interviews and features on a wide range of industry topics in a clear, easy to read format. The magazine works closely with the organisers of the major UK grocery trade shows, and reports on them with previews and post show reviews. Senior buyers, trading directors, managers and other decision makers within the UK multiple grocery industry. 31,284 ABC-Audited copies of Grocery Trader are distributed in both print and digital format 6 times a year. For more information on Grocery Trader please visit www.grocerytrader.co.uk or phone 01923 272960. Grandflame Ltd is an independent publishing house specialising in business to business magazines and online information services. We deliver relevant, up-to-date news to the trade on a weekly basis across a spread of industries. Warehouse & Logistics News is the UK’s only fortnightly magazine for the warehousing and logistics industry and is always first with the news. Grocery Trader is a bi-monthly A4 size news magazine for the UK multiple grocery industry. Wholesale Manager is a monthly magazine which is distributed to senior buyers, directors, managers and other decision makers within the UK wholesale and cash and carry industry.